I know how it is because I’ve been there! 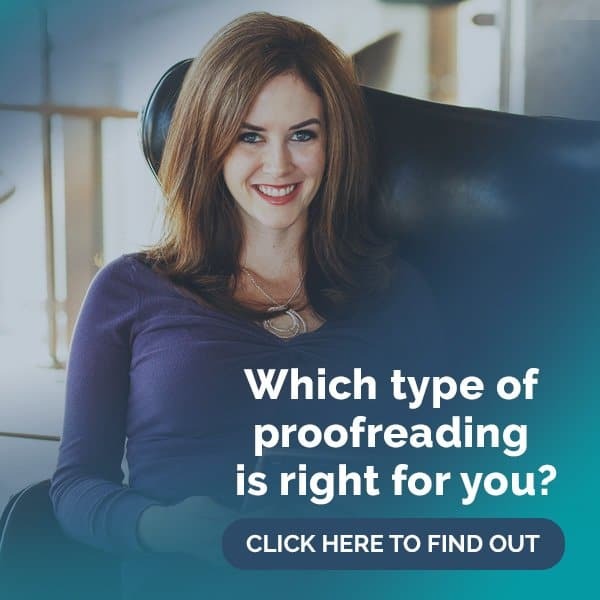 You’ve probably been all over the Internet looking for proofreading work. Or maybe (hopefully!) you got lucky and found this website first. Whichever situation you may be in, you’re here now looking for a way to change your career path and start earning what you’re worth. 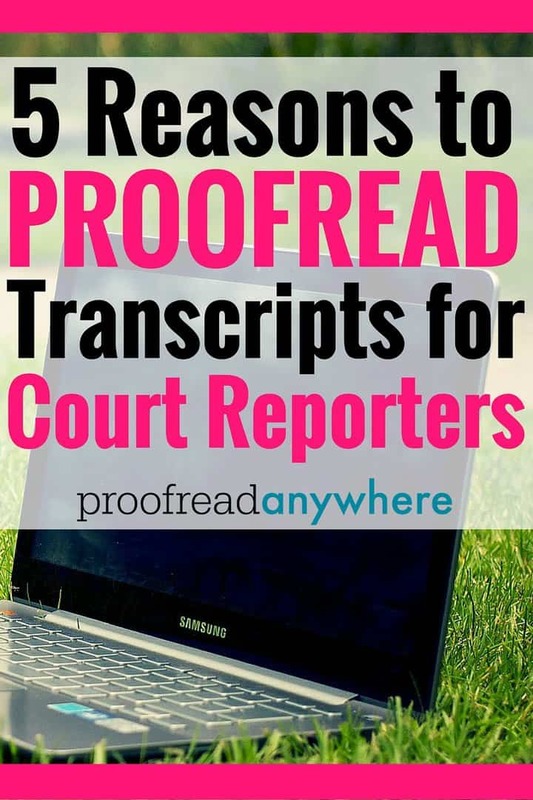 Proofreading for court reporters is one of my favorite forms of proofreading — and hopefully this post will get you pumped up and motivated to start working your way toward a piece of the pie. It’s hard work, but it’s worth it… and here’s why! 1) You’re paid per page! One of the big differences in proofreading transcripts vs. general proofreading is how you are paid. Court reporters are paid per page, and so are you — it’s that simple! The amount you earn is directly affected by how focused you are, how efficient you are, and how quickly you turn work around. For example: I receive two transcripts, each about 100 pages in length. I bill $0.40/page on each job. When I read Job A, I have laser-sharp focus and I’m done in an hour. How much did I earn? $40. But, when I read Job B, I’m hungry, have already read 300 pages that day, and have gotten distracted by my husband arriving home from work. It takes me 2.5 hours to read the same work. How much do I earn? $40. But what’s my hourly rate? $16. WOW! That’s how much I got paid per hour at my last (and final!) desk job!! Do you see what I mean? Efficiency pays off. That’s why I created this course, to help you make yourself into a well-oiled machine, ready to increase your bottom line and crank out awesome work. RELATED: Can you proofread transcripts in Canada? Not to mention, when you’re distracted, not only does it take you longer, your brain isn’t as engaged in the work as it may be if you were more focused and reading faster. One might think you would miss more errors if you read faster, but the truth is, you can read slowly and be thinking about three other things and miss a lot more errors than if you had precision focus and read very quickly. If you’ve been reading my blog, ProofreadAnywhere, you know how much I love what I do. But I don’t love it because what I read is always exciting or enamoring in some way, I love it for what it allows me to do with the rest of my life. 2) Proofreading is remote. If you do it using my method, you can pack your bag and take your tablet and off you go, into the wild blue yonder (as long as you have Wi-Fi, even if only sporadically). Working abroad is simple! My husband and I did a year-long stay in Cuenca, Ecuador, where the essentials are cheap and the livin’ is easy. Our rent (including utilities and Internet) was only $350! We are just giddy with excitement at what a location-independent career allows us to do. 3) It’s CHEAP! Compare the cost of this course to going back to school for an MBA, or even court reporting school (average of $25,000 to $57,000 for a two-year program). On average, students finish the course in about two months’ time or less, depending on the time you’re able to put in each day, and they’re able to get clients quickly after that, enabling them to earn money quickly and recoup the cost of the course fee and any equipment they buy. Repeat overhead costs are super low, too — paper, printer, not even a car is needed! One-time course fee, one-time purchase of iPad (if desired) and any software and you’re set — just don’t forget to pay your internet bill! 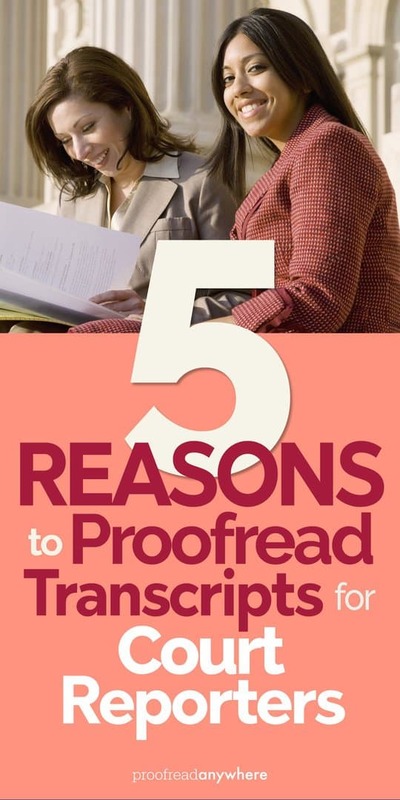 RELATED: How many exam attempts are included in the Transcript Proofreading course? 4) Court reporters are repeat customers. That’s right! If you’re good, your reporters come back to you again and again. My clients even ask me if I’ll be working on vacation — they hate having to use another proofreader. Work hard on your development in this course and before you know it, you’ll be indispensable. You save them lots of time, too — the best reporters know they need proofreaders to really be good. You proofreading their jobs frees them up to do more reporting, for which they earn more money. A side benefit of your clients being repeat customers is that they’ll start sending referrals your way, too, which is the best way to build your business. Your clients literally start marketing for you! 5) It’s flexible! This kind of work is great for night owls, too! Clients often stay up and work late into the night. I often receive jobs at two in the morning! There’s also no need to request time off, either, since you’re your own boss. Just let your clients know you’re heading out for a few days or a week, and let them know when you’re back. Lastly, unlike traditional careers, you never have to be in a certain place at a certain time — all of your work gets done whenever you want to do it. There you have it — don’t even think about trying to change my mind! I am a huge nerd and I will forever be loyal to transcripts and the court reporters in need of an eagle eye! 🙂 Do you proofread transcripts? 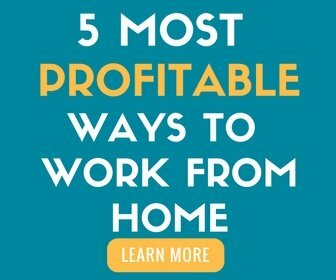 If you do, I bet you’ll agree with me that it’s one of the best ways to earn an income. Thank you Caitlin. Looking forward to my next lesson. Caitlin, I appreciate your willingness to share your knowledge and experience. I am becoming more excited to complete the class as soon as possible. In having worked many WAH positions being stuck in a geographical area or in my home office behind my desk, I’m excited about the opportunity of freedom to proofread outdoors, in the park, on the beach, or even on my patio! No problem!! Yep, as long as you aren’t distracted, you can really proofread anywhere! That is great! and since time flies, that is just around the corner! well, let me know how many of you and whether you need assistance from the airport on. (Are you arriving in Guayaquil?) so we can arrange transportation, etc. We are only three (My wife Betty, our cat Fiorella and myself) and have two guest rooms with a shared bathroom. We are in the southwest of Cuenca (just 20′ of the centro, by bus), sector “Control Sur” near Baños. I am a Spanish Instructor for the ex-pat community and Betty teaches Dance-therápy and slow aerobics. Looking forward to meet you. This is second time this morning I’ve heard anything about Cuenca, Ecuador. Why Americans going there? 1) It’s beautiful, 2) the weather isn’t nearly as hot/cold as other areas, 3) they use the US dollar and you can live quite inexpensively there. What language do they speak in Cuenca? What’s to do there? Nice connection there, Caitlyn. Seems as though there’s some good networking opportunities out there as well. Hope you all get to meet and have a great time! I couldn’t agree more with Sabrina above. I’ve looked into many WAH opportunities as well and none seem to be a better fit than what I’m reading into here. I feel that there is just so much more flexibility here. No need to be pinned behind a desk at home and near a phone, fax machine, etc. Now that you’ve broken down the earnings, per page, I can really see the advantages to this line of work. Thanks again for sharing and all that you do. It can really add up! It’s best to focus on being really, really good before trying to build speed. Court reporters do the same thing before they progress to the next speed in school. The main focus is always mastery 🙂 Putting that as your #1 priority will reward you. Caitlin, I appreciate your good heart to share your knowledge and experience. I am becoming more excited to complete the class as soon as possible though am a fresher and do not know where to get customers or how to start but am very much interested on this job. am gifted in spotting errors so i thought this will be my great oppotunity. thank you so much Caitlin hope one day will be like you. Amina, I am going to be open and honest with you — you are not a native English speaker, and I do not recommend taking my full course. Please do not invest money in the full course. WOW. I’m so excited! Great information Caitlin thanks!!!! Each day after I receive your email I am more convinced that I can do this! Once again, I really appreciate your introductory course to “get our feet wet”, so to speak. 🙂 Looking forward to taking your course! Thanks, Catie!! 🙂 Excited to have you on board soon!! If the court reporters are checking our work and hiring us on the basis of our accuracy, why are they not just proofreading it themselves? Also, are they paying us out of their own pockets? I read somewhere that we also need to purchase software in order to do the proofreading. How much does this software cost? I’m trying to get an accurate tally of the total investment for this venture. I do not have a degree in anything. I never went to college. Proofreading has always been a passion, but do I have a chance to make this work? Hi Alice, yes — court reporters do pay out of their own pockets when you work with them individually. Not all court reporters have time to proofread, or — let’s be honest — the skill, so we really come in handy. We use iPads and a $10 app called iAnnotate. Check out our FAQs section: https://proofreadanywhere.com/category/faqs/ I have FAQ articles for the “no college” issue and more details on iPad + iAnnotate. I just finished reading this awesome article and Catie, your third responder, above, took the words right out of my mouth when she said, “Each day after I receive your email I am more convinced that I can do this!” This is exactly how I feel! Also, your second responder, above, Kelley O’Connell, says it all, “I’m so pumped!” So, Yes, I will definitely become one of your students–eventually, just as soon as I figure out how to obtain the cash for your training, plus for the mini iPad you recommend. If all goes well, I’ll probably graduate within the first half of 2016–and already working full-time as a transcript proofreader, like you and all your other successful grads! This is a career worth more than the cost of the training. Completely doable! 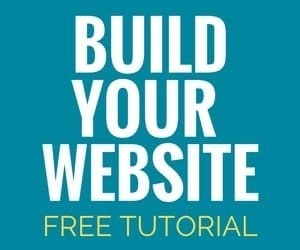 I took your advice, bit the bullet, and finally got a website, now to design it!! I can’t wait to start working in this filed and I hope I can afford to take yours or the other course you recommended on your blog. I’ve been enjoying this mini-course and look forward to each email daily! Since the new one isn’t ready yet, the website listed below is just my old one, my blog (totally different subject) but I hope to share the new one soon. I was a court teporter for 10 years. I am now a substitute teacher and am interested in proofreading. I’m very interested but before I continue down this path, I’d like to know if any of the proofreading can be done on paper or if it’s all online. In other words, can clients ever give you printed paper that you can mark up with a pen and return or not? Certainly! Some reporters do prefer that method still, and the course does include a lesson covering that type of proofing method. HI Caitlin, I just signed up for your general proofreader course. Can one do court transcript proofreading after completing this course, or is it necessary to take the transcript proofreading course? Do you have a list of people that have taken your course. I am looking for experienced proofreaders.